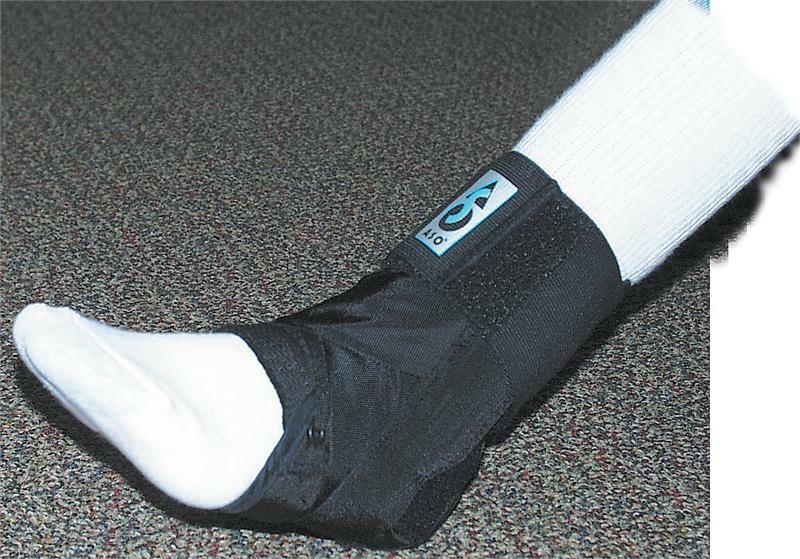 One of the most popular braces for the protection against and the treatment of ankle sprains. The Calcaneus is captured, effectively locking the heel. 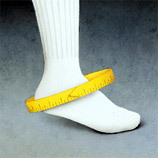 For sizing, measure circumference from the base of the heel around the malleoli, over an athletic sock. See illustration. Fits easily into an athletic or street shoe. Made of thin, durable ballistic nylon.